ATTORNEY-GENERAL Jarrod Bleijie maintains his support for the selection of Tim Carmody as Chief Justice despite continued opposition from the legal profession. 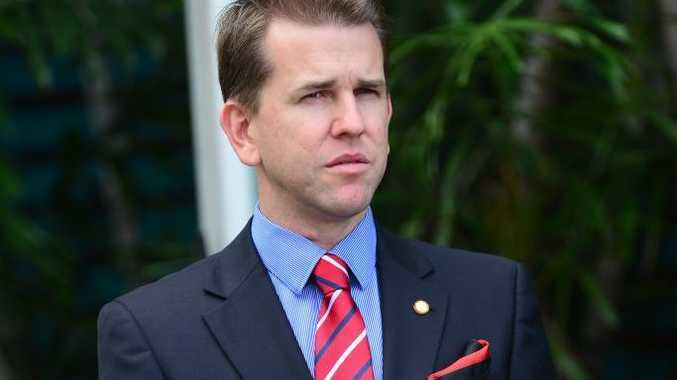 Mr Bleijie, the Member for Kawana, is also refusing to answer questions about claims that he leaked details of a discussion with former Queensland Bar Association president Peter Davis QC. Mr Davis quit as president on Friday as result of the alleged leak. Instead of a requested interview to discuss the concerns, Mr Bleijie issued a written statement late yesterday saying: "I have not engaged in rumour and innuendo and I do not intend to do so now." Mr Bleijie said the government "consulted extensively and carefully considered all submissions from the legal profession regarding the appointment of the Chief Justice and the decision was made with the Premier on Wednesday afternoon". "Judge Carmody has the keen legal knowledge, administrative skills and integrity that are essential qualities for the role of Chief Justice," he said. University of the Sunshine Coast politics lecturer Bronwyn Stevens said the ongoing furore was not creating a "good look" for the government. "Many people are talking about it harking back to the pre-Fitzgerald days and coupling it with several other controversial issues," Ms Stevens said. While Ms Stevens was not prepared to comment on calls for Mr Bleijie's resignation, she said it was clear that he had the support of Campbell Newman. "The buck does stop with the Premier," she said. Ms Stevens said it was unusual to put someone from the magistrate's bench ahead of existing judges into the senior position. She said Mr Carmody had been put into an "invidious position" as he had been criticised publicly by senior legal figures. "There haven't been many others rushing to support his position. He is coming into office without a great deal of support and with some quite pointed criticism. "The crux of the matter is that somebody who doesn't have the traditional experience is going to be Chief Justice and the appointment process is being questioned." Ms Stevens said many people were uneasy about where the state was heading after what happened to the CMC and the Parliamentary Crime and Misconduct Committee.